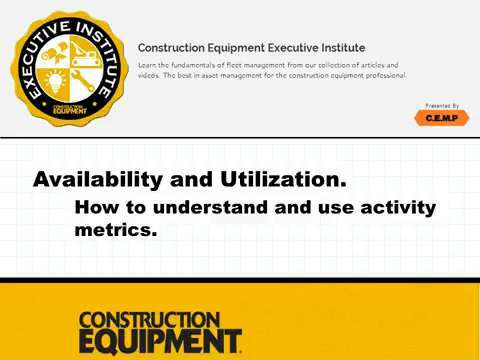 Learn the fundamentals of fleet management from our collection of articles and videos. 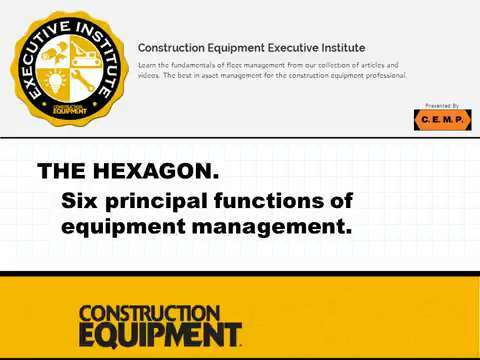 The best in asset management for the construction equipment professional. Registration is open for the next Institute, April 16-18, 2019, in Chicago. When a machine starts a production shift, it should work without interruption, not break down and not bring everything to a grinding halt. Our goal should be to have zero on-shift failures - it is possible, desirable and it makes good business sense. 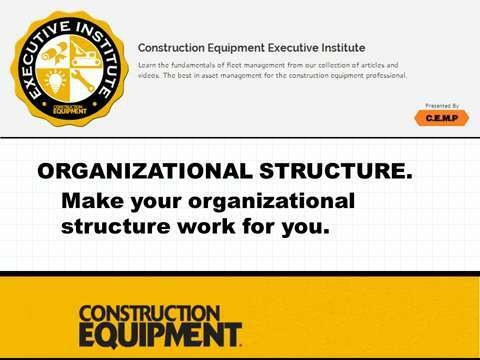 Equipment-using organizations often use their fleet to promote their brand. The name is on both sides of the equipment; their logo identifies the organization. Senior managers get quite involved and particular when it comes to how the company brand is portrayed. 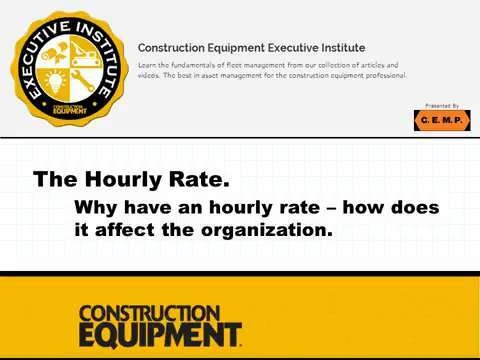 Equipment is a capital-intensive business, yet capital is a scarce and expensive resource. That is why so much of what we do is focused on capital expenditure (capex) and the capital-expenditure budget. 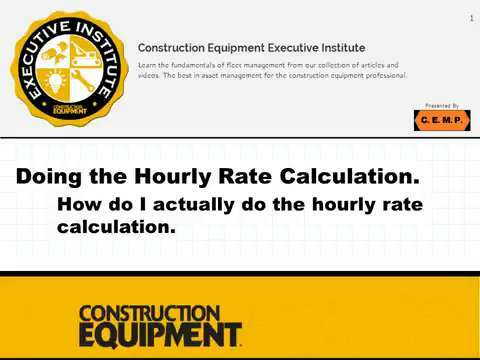 Setting the internal charge-out rate is probably the most difficult, contentious and important task that an equipment manager needs to perform. Let’s look at each of those words to better understand the situation and then attempt to develop a process that helps. What is best: buy, borrow, lease or rent? The question comes up often, and there are no right answers, only intelligent choices. 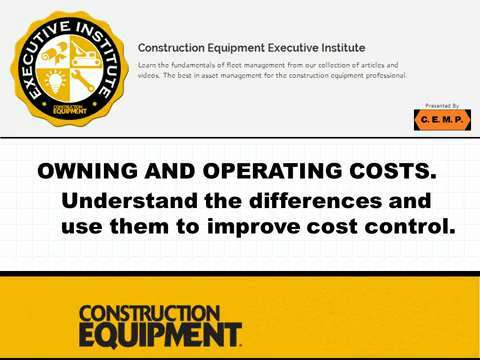 Although cost is certainly important, it is not the overriding consideration. Many other factors and risks must be considered. 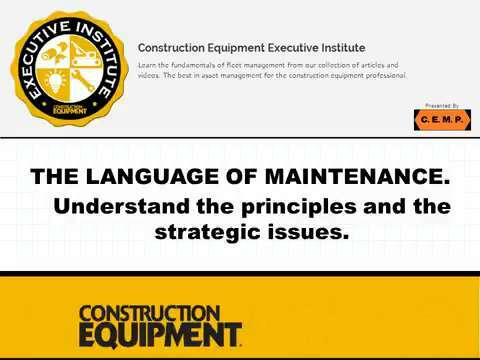 Balancing an equipment account and taking the right action when things go wrong is extremely complex. It takes a deep understanding of costs and the costing process to pinpoint problems and take appropriate action.